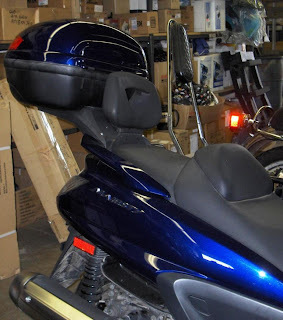 A Yamaha Majesty 400 backrest provides great comfort for your passenger. 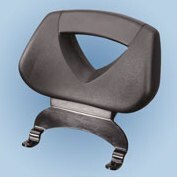 The backrest is padded and curved to support your your back. Our customers say this provides greater comfort and security to both passenger and driver for longer rides. This picture shows the backrest with the top case just behind. Fits 2005 to 2007. 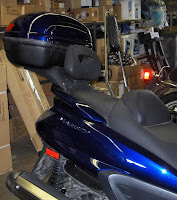 We also carry windshields, leg shields and other Majesty 400 accessories.